Certain aspects of the Southern culture get a lot of play in the public discussion of the region: slavery, the Civil War, the Depression, and Civil Rights. All of those difficult features of our culture play a huge role in who we are now, certainly. Whether we like it or not, the current “New South,” aka the Sun Belt South, is a post-slavery, post-Civil War, post-Depression, post-Civil Rights culture. The region’s socio-political “answers” to each of those historical dilemmas have, in turn, shaped the next stage in our development, and now— we live with the consequences of layers and layers of reactionary decisions. Yet to sum up the South by only considering those four cultural features would be short-sighted. There is more to look at, and that’s where reading comes in. Though modern Southerners live in the same geographic space, we also live in a different “place” than earlier generations of Southerners, because though we may not have a different language, we do have different customs and a different social structure. The old folks try to tell us about what we weren’t there to experience, but we roll our eyes and stop listening when we hear, Back in my day . . . As Southerners, to avoid being duped about our own past by modern-day fire-eaters, we must read to truly understand how we landed at this moment in history— which is the only way to dig out of the hole we’re in. Perhaps one of the only remedies for a half-true mythology that has been slathered on like peanut butter is reading works produced by historians to straighten out the popular consciousness. Historians, who do the time-consuming work of digging up the facts and connecting them for us, serve our culture well. Although reading straight history can be cumbersome, challenging and often dull, the payoff is immense, and having the factual foundation to comprehend modern ideas and phenomena is well worth the time and effort. 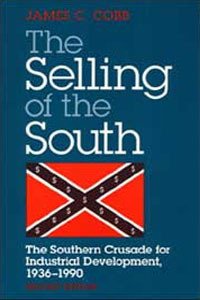 Knowing-better about the South, my home place, beats the hell out of expecting a politicians’ rhetoric to make sense, and having this base of knowledge has offered me something more profound than trying to pick up the Southern cultural milieu from the daily news cycle, which focuses almost solely on the right-now. 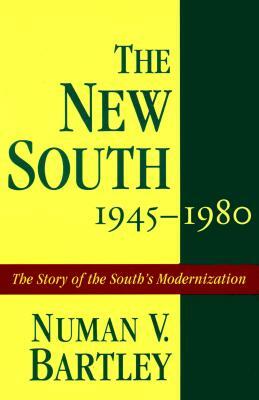 Three books that I would recommend for any person living in the South today to read, so that they could understand their own culture more thoroughly, are: George Tindall’s Disruption of the Solid South, James C. Cobb’s The Selling of the South, and Numan V. Bartley’s The New South, 1945 – 1980. 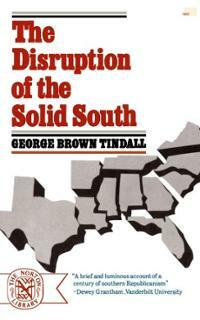 Tindall leaves with the prediction that the post-Civil Rights South will be defined by newly enfranchised black people and the white people who are scared of them. BAWI and the programs that followed it basically created the scenarios we see in Tennessee Williams’ “27 Wagons Full of Cotton” (made into the film Baby Doll), Erskine Caldwell’s novel-turned-film Claudelle Inglish, and the 1967 classic Sidney Poitier film In the Heat of the Night: small towns with mills and factories run by outside or absentee owners who offer unemployed or underemployed locals a pittance to work like hell. Cobb carries us from the Depression, through the government-contract era of World War II, and into the Civil Rights era when Atlanta became “the city too busy to hate.” The Selling of the South also acknowledges the realities of the strategy: wages stayed low and education remained a low priority, thus quality of living only improved only a little for most people. The book’s latter chapters describe the Sunbelt South, where Florida emerged as a tech and aerospace leader and where Atlanta became the greatest city in the South. Despite the highfalutin claims of recruiters, chambers of commerce and governors, Cobb’s truth comes in the final chapter, “The Price of Progress”: the South became the place for companies to go to underpay workers, dump trash and pollute rivers, because no “business friendly” politicians were going to stop them. Yet, the South was changing in massive ways after the Second World War, becoming more urban, more mobile, and more educated. Bartley begins at the war’s end, but of course he has to harken back in the first chapter to the Depression, which can’t be ignored in that discussion, alluding to Roosevelt, the New Deal, etc. However, in the 1940s, “the South was the great training ground for the nation’s military forces” (11), i.e. Neil Simon’s “Biloxi Blues.” Although the South of World War II was a post-New Deal South, it was also a post-Howard Odum and post-Gunnar Myrdal South: “Justifications for white supremacy – and for de jure segregation – rapidly lost intellectual respectability” (13), writes Bartley. And they still do . . . which is why I suggest that more people read these three books. When I chose these three for this relative short entry, I had to make some tough choices about which books not to discuss— and I settled on these because I’m most interested in the modern South and because all three take on topics of import to all Southerners. Certainly, C. Vann Woodward’s The Strange Career of Jim Crow could have made this list just as easily as Jack Temple Kirby’s Rural Worlds Lost, as could Peter Applebome’s Dixie Rising, the edited collection The Idea of the South, or Michael Kreyling’s The South That Wasn’t There. So many books, so little time . . .